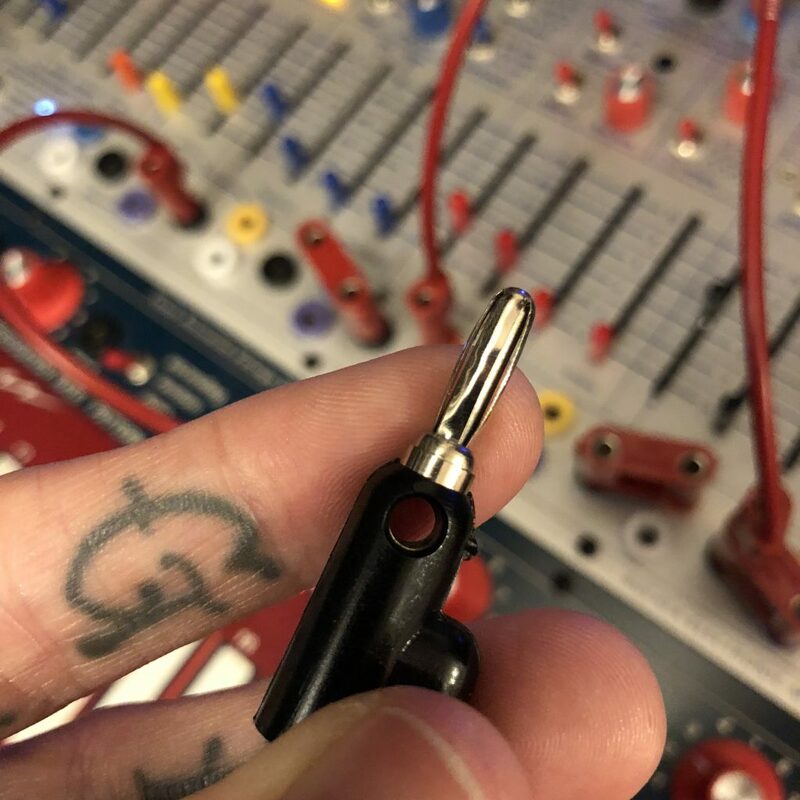 Being a weird old electronic analog instrument that uses touch capacity as an input method the Buchla Music Easel is known to have the occasional grounding issues. I knew this before I got it and in the US mine seemed considerably less glitchy than other people’s. The tell tale sign of growing trouble is when you touch one key and it starts playing several, almost arpeggiating between them at times. When I moved to Tokyo the weirdness began right away. One thing to note is that Japan 100V with 2 prong plugs and the US is 120V with 3 prong plugs so some translation issues are to be expected. Unfortunately the most common suggestion to solve music easel grounding issues is to use a little adapter and turn the 3 prongs into 2. Since I’m in Japan and that’s a given, no dice. The next option is to connected it to the metal on another piece of grounded equipment via the ground jack on the side, but again since all the stuff here is similarly ground, that also made no difference for me. I finally found something g that worked though. I got a really long banana cable and attached one end to the ground port on the easel and tucked the other end into my waist and with the metal top making skin contact. This worked immediately. I guess adding myself to the circuit really helps when touching those contact pads. This was important for me because the new piece I’m working on right now needs to be slooooow and being able to key in the note changes and tempo is interesting.